Having grown up in a rural area, with grandparents who played heavy roles in my upbringing, I was quickly drawn to When We Last Spoke by Marci Henna. I'm pleased to offer my review of this book--and to offer one reader the opportunity to win a copy of the book in the giveaway at the end of this post. Quick Summary of When We Last Spoke by Marci Henna. With the heart and humor of Fannie Flagg’s Fried Green Tomatoes and Rebecca Wells’s Divine Secrets of the Ya-Ya Sisterhood, author Marci Henna introduces you to the Cranbournes—a mostly lovable and undoubtedly nutty family who’ve had more than their fair share of hard times. When We Last Spoke Hits a Lovely Note with Memoir Fans. While this series is fictional, this novel reads like a memoir--and fits its setting in both time and place perfectly. The cast of characters, with their quirks and their interactions--and the small town, Southern atmosphere certainly seem like the creations of a person reliving their past. If you like the style of a memoir, where the author generally pulls in random memories from different times and people from the past, then, you will fall into stride with this book. If you need a consistent flow of story from beginning to end--the style of this novel may require a little patience at times. When We Last Spoke Offers Quite a Cast of Characters--Just like Life. Sometimes, we fail to realize the the roles that many of our life's characters play in the "making" of who and what we become. Small town life often offers fewer characters than city living--but, they are generally far more memorable in their own rights. Henna does a wonderful job creating characters to dot the girls' memories of years gone by. Readers will likely find more than a few characters with which to identify from their own pasts (especially if they have grown up in the South or even the rural Midwest). 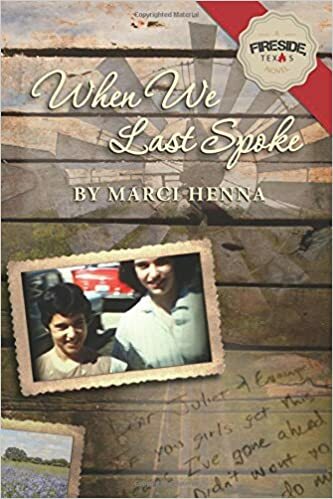 Would I recommend When We Last Spoke by Marci Henna? Readers will not find an action packed mystery or an over the top, fictional tale on the pages of this book. Instead, they will find a heartwarming story of friends and family and life's journey. Sometimes, we find a point in our life where we need to re-ground ourselves and seek out the past to make peace with the present. This book follows two sisters as they find some peace in who they were and who they have become. I would recommend it to memoir fans--or to readers who simply enjoy a homespun, life story filled with food, life's ups and downs and memories of the past. Marci Henna is a novelist living in Austin, Texas, with her husband. 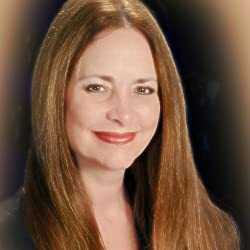 She holds a BA in literature from the University of Texas and spent many years serving as a trustee on various nonprofit foundations, several of which attended to children’s needs. Although she’s resided in Texas and New Mexico for most of her life, Henna has also lived in Kenya with the Wakamba. Disclosure: Many thanks to Propeller Consulting, LLC for providing this prize for the giveaway. Choice of winners and opinions are 100% my own and NOT influenced by monetary compensation. I did receive a sample of the product in exchange for this review and post, but all opinions are my own.